Contact Shari to discuss the referral process & possibilities of why, how, when, where, who & how much. It’s about finding what works for each person or group of people. What kinds of sessions and how long? How do I know if Shari's the right fit for me? 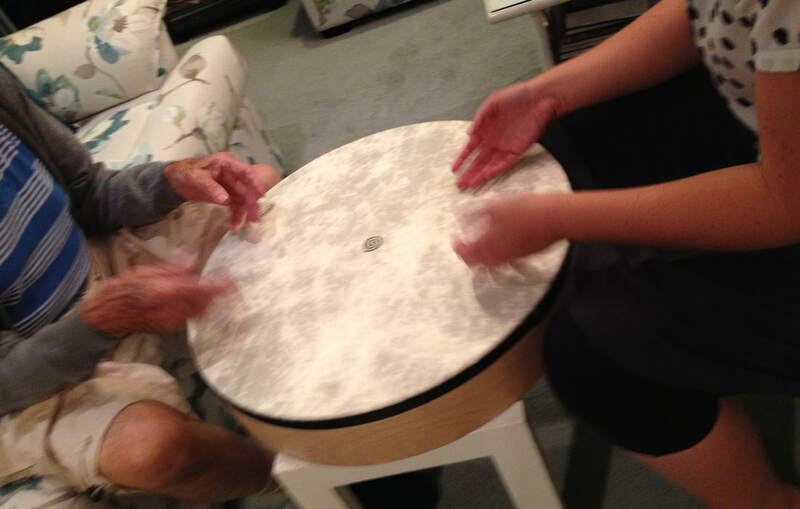 To get an idea of what music therapy with Shari is like, you might like to first meet and make some music with Shari, and talk about what might work. It might be a one-time consultation, or block of assessment sessions. If you, or an organisation you are part of, are interested in hearing more about music therapy Shari is also able to offer presentations and experiential workshops. Read more about Shari here to learn about how she works. What does Shari's time cover? Session video indexing and/or review (where filming is appropriate and agreed with you/the facility).